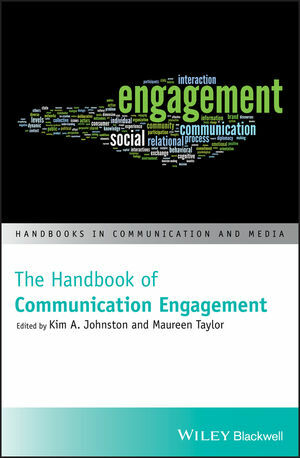 With contributions from an international panel of leaders representing diverse academic and professional fields The Handbook of Communication Engagement brings together in one volume writings on both the theory and practice of engagement in today’s organizations and societies. The expert contributors explore the philosophical, theoretical, and applied concepts of communication engagement as it pertains to building interaction and connections in a globalized, networked society. The Handbook of Communication Engagement offers an essential reference for advanced undergraduate, graduate students, practitioners and scholars from communication, media, advertising, public relations, public policy, and public diplomacy areas. The volume contains a compendium of the writings on the most recent advances on the theory and practice of engagement. Winner of the 2018 PRIDE Award for Innovation, Development, and Educational Achievement from the Public Relations Division of the National Communication Association. Kim A. Johnston, PhD, is a senior lecturer at QUT Business School and leads the stakeholder engagement research group. She consults widely with private and public organizations and undertakes research in community engagement, social change and social impact. Maureen Taylor, PhD, is Professor and Director of the School of Advertising and Public Relations at the University of Tennessee. Taylor's research has focused on nation building and civil society, dialogue, engagement and new technologies.